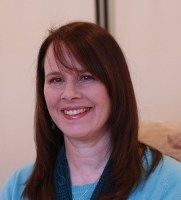 Come along to my calm sanctuary in Farnham so that you can enjoy your own special 60 minute reading. Don’t live close enough to visit my calm sanctuary, then you can select Skype or Telephone Reading when booking your reading. Gather a few of your friends and family for coffee & cake or afternoon tea, while you each enjoy your own individual reading, in the comfort of your home. Reserve your special get together now! Enjoying working for spirit means that it is an honour to be invited to serve at spiritualist church. Please let me know if you’d like me to serve your church.